First Fairway at Walden is located in the Walden Community on Lake Conroe in Montgomery, Texas. We are happy to provide one and two bedroom fully furnished units. We are affiliated with RCI. The resort sits on the first tee of the gorgeous Walden Golf course and is surrounding by the beautiful woods and greens that can soothe anyone’s soul. Our owners, when vacationing at First Fairway at Walden, enjoy Discounted Golf Privileges on this beautiful (as well as challenging) 18 hole golf course. Cart fees are not included. 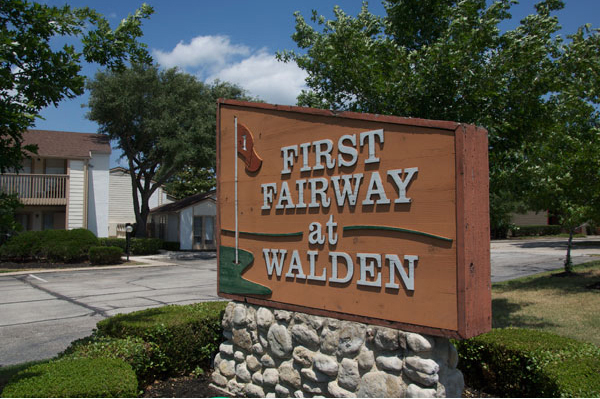 We at First Fairway at Walden want our owners to have the best privileges because they deserve it! Thank you for your visit and giving us the opportunity to fullfill your loging and event requirements. We offer short term and vacation rental at Lake Conroe from weekend to six months.